Isn’t the phrase “store-bought” kind of funny when you think about it? Maybe I should have said mending “factory-made” socks? Maybe not, that sounds weird too. 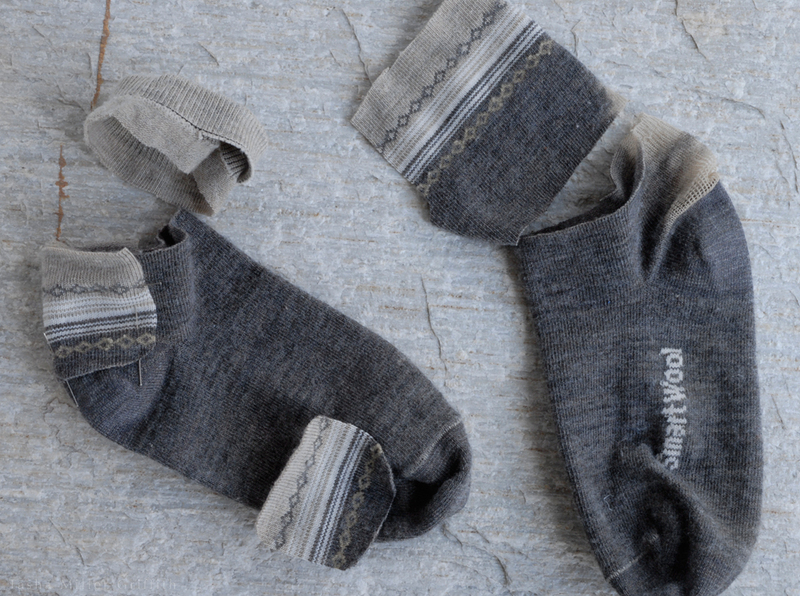 Fixing “non-me-made” socks … never mind! Anyway, I get a little depressed any time our society expects me to get rid of something which is mostly perfectly good, but has one flaw/broken part/hole/mold on just one corner. Although I do accept that there’s a point at which socks are well and truly worn out and need to go, what happens to most of mine is that they develop one or two really worn places somewhere around the heel first, while the rest of the sock fabric still seems totally intact. The really tiny gauge which commercial socks (I might like that phrase best so far) are knit in makes it hard to darn them in the traditional needle-and-yarn ways. I’ve been experimenting with patching them, using compatible knit fabrics, and it’s been working well. Experimenting over some time now, so please forgive the different lighting in the photos, I’ve been documenting the socks as I fix them. As most of you reading probably already know, I love the idea of “visible mending”, of showing the world that I fixed something and I’m using it. • The fabric for the patches should be similar to the socks: knitted (stretchy) and fairly sturdy. I’ve been using wool knit fabric swatches, scraps from making these leggings, and parts of other socks. Although I’ve been seeking out wool patches, I think cotton knits would work too, as long as they are fairly thick/tough. Check that the care requirements for the patch fabric work with how you wash your socks (I usually machine wash & line dry mine, occasionally they go through the dryer, and the wool patches have worked fine for me). 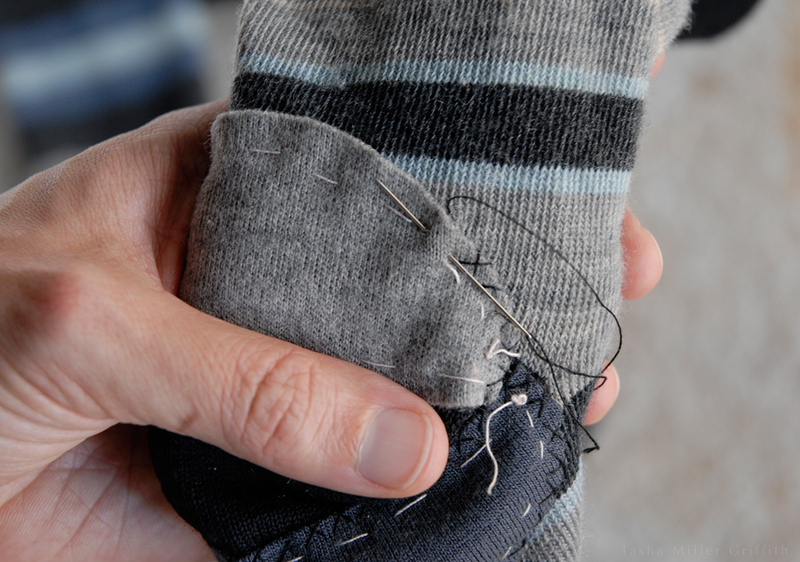 • It’s totally possible to mend shorter socks with a sewing machine, any time that you can scrunch the rest of the sock out of the way (kind of as if you are turning it inside out), so that just the layers you want are under the foot of the machine. I used an overlock stitch for maximum stretchiness & sturdiness. As with any knit project, you may need to experiment a bit to figure out which stitch and settings work best. Expect to do a lot of lifting the foot with the needle down and repositioning things while sewing on the patches. You can cut down on that somewhat by basting the patches on first (takes about 30 seconds). • When the patch is done, I finish by getting all the thread ends to the inside, and burying them before trimming, using a hand sewing needle. You can also trim the edges of the patch outside the stitching if they come out funky looking. 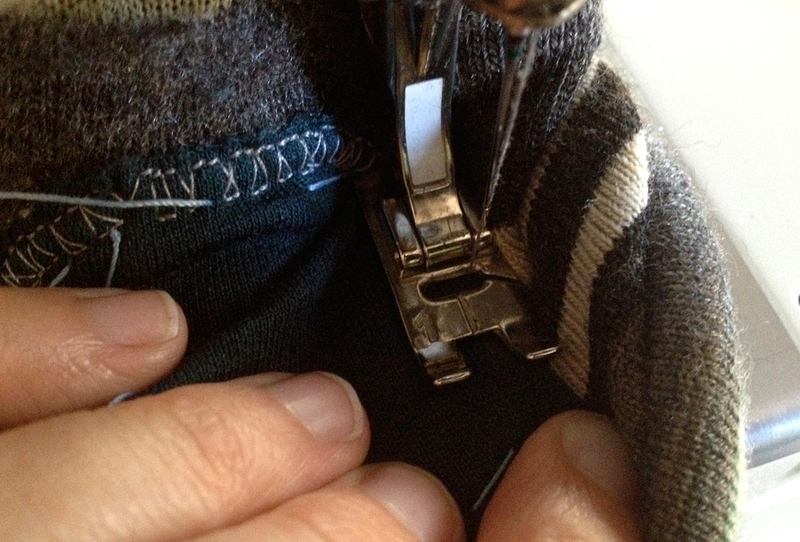 • For heels and toes of knee socks, and any time I can’t easily get the part of the sock I want under the machine, I find it just as easy to sew the patches on by hand. 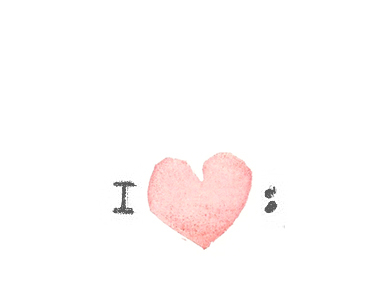 (I like hand sewing, and I don’t like fighting with my machine.) I’ve been using a catch stitch (explained in more detail here) around the edges, sewing through both the patch and the sock when possible. An old-fashioned darning egg (or improvise with a small block of wood etc.) inside the sock is so useful here that it’s almost essential, making things much easier by assuring that you only sew through the layers you want. • For either method, cut the patch definitely bigger than the worn place/hole, otherwise it will quickly wear right along the edge of the patch. • For cuffs, you can use a scrap of ribbing to cover worn places and/or make a new cuff. 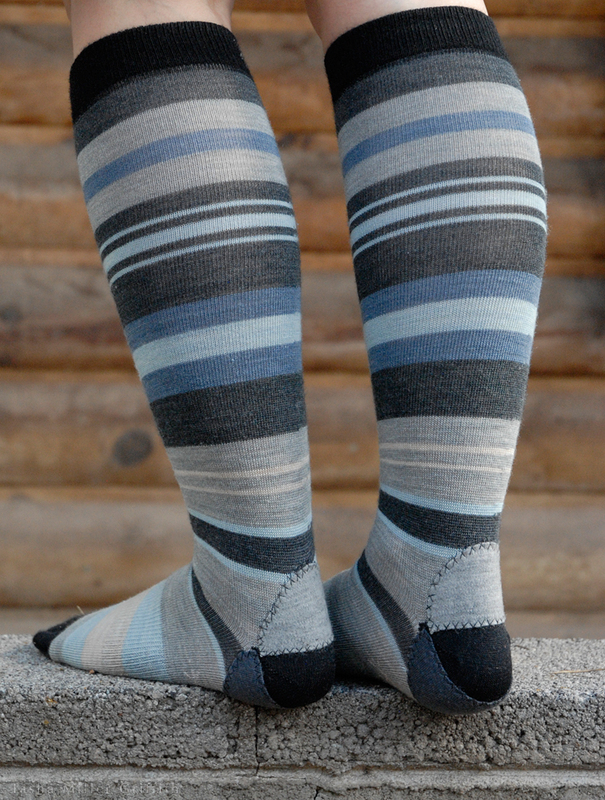 Make sure the ribbing is long enough to stretch around the widest part of the leg which the sock will go around. Mark and sew the ribbing together, then stretch it evenly around the sock. I find it’s easier to sew two seams, one on the inside and the again around the outside edge of the ribbing, than to try to catch both edges perfectly in one seam. 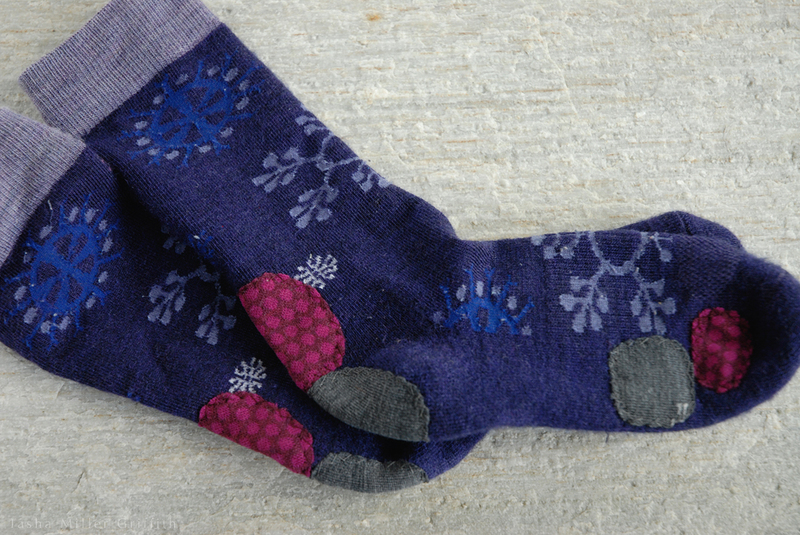 • Both my hand- and machine-sewn patches have worn well, adding a year or more to sock life, and lasting until the rest of the sock fabric gives up the ghost. The socks below I didn’t even mean to fix, but they ended up being some of my favorites. They’re the ones I wear in the summer when we’re setting up the booth. I was going to buy new ones, but in the end I couldn’t bring myself to spend real money on new socks for such a humble purpose, and I knew cheap socks would wear out super quick under those conditions. The new short length is perfect for when it’s hot but I still have to wear shoes, and I love seeing my little mended socks during what can be a stressful situation. Finally, just in case you’re thinking that I have a magical house where socks are fixed as soon as they develop holes, let me tell you, it ain’t so. I’ll admit that I tend to let them pile up until my sock drawer is looking sparse, and I’d forgotten about the very existence of some of these by the time I got around to mending them … when I start to run out of socks that don’t need fixing, then I settle down and do one or two pairs a day until they’re all fixed. This entry was posted in Care & Maintenance—Remake—Repair, Sewing—Form and Fabric and tagged diy, fixing, how to, mending, patch, repair, sewing, sock, socks, tips, tutorial. Bookmark the permalink. I love socks, but my favorites get worn spots quickly, and they’re expensive! Love the idea of mending them, and especially your “visible mending”. Adds character and personal flair! I like thinking of it as personal flair! I borrowed the phrase “visible mending” from Tom of Holland (http://tomofholland.com/), he does a lot of beautiful, careful, and sometimes even showy mending of hand knits and other special textiles. Oh that is such a good idea; I’ve wear Smart Wool socks until the heels fall apart and then I’ve been stashing them in my sewing basket and trying to come up with a way to make doll sweaters out of them, but this is actually a better idea! I was wondering if somebody ever tried to reverse the top part (inset) of the sock and the bottom part (sole). The sole always gets worn and thin, yet the inset always stays nice and thick. 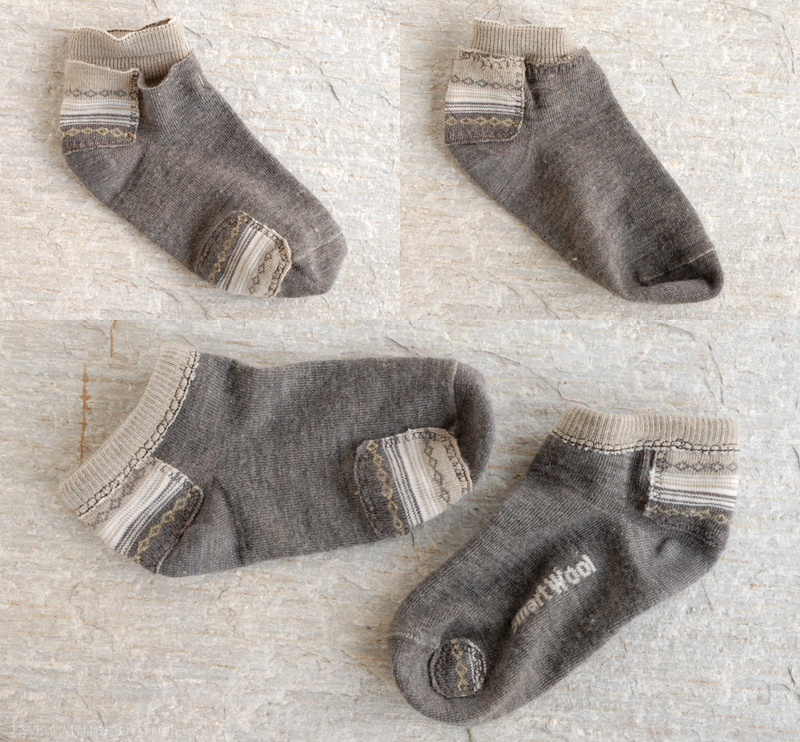 IS it possible to create a new heel in store-bought socks when reversing sole for inset? As I wear out the toes of socks very rapidly, I’ve been looking for a solution better than the old fashioned whole repair method (reweaving thread). I will try this with expectant enthusiasm. I use an old light bulb as an improvised darning egg.